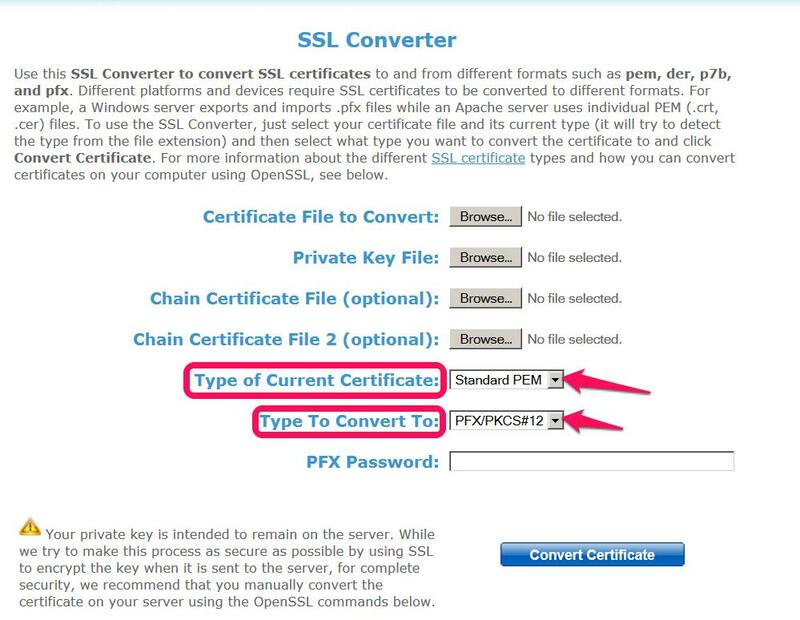 This document outlines the process of installing an SSL certificate on a Windows Server which does not have a panel. 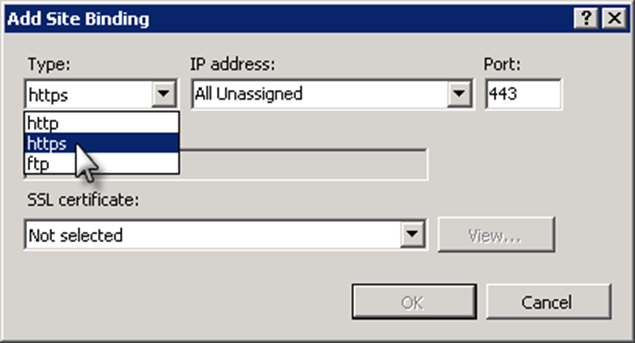 Confirm you are able to access your Windows Server using RDP. Components of the certificate: Private Key, Certificate, Intermediate CA information. 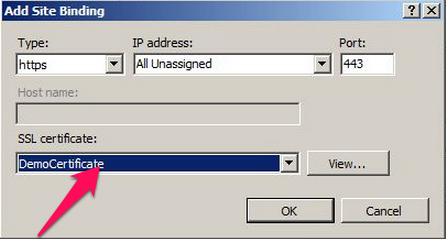 Copy and paste the Private Key, Certificate, Intermediate CA information in separate notepad files. Choose the location of the .crt file. Upload the Private Key and Intermediate CA files similarly in the Private Key File section and Chain Certificate File section. 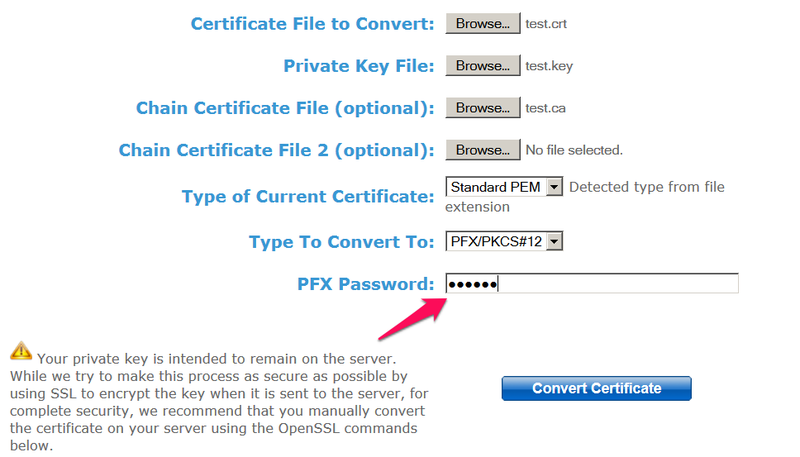 Enter a password in the PFX Password box. You will need to remember this password for the next step. 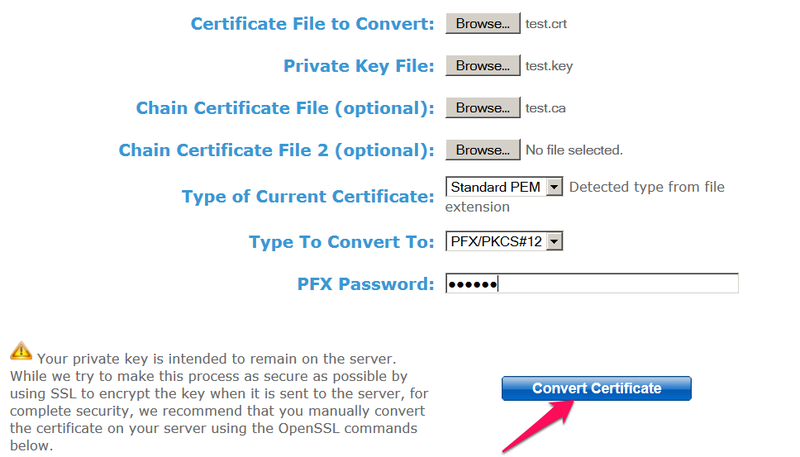 Click on the Convert Certificate button. 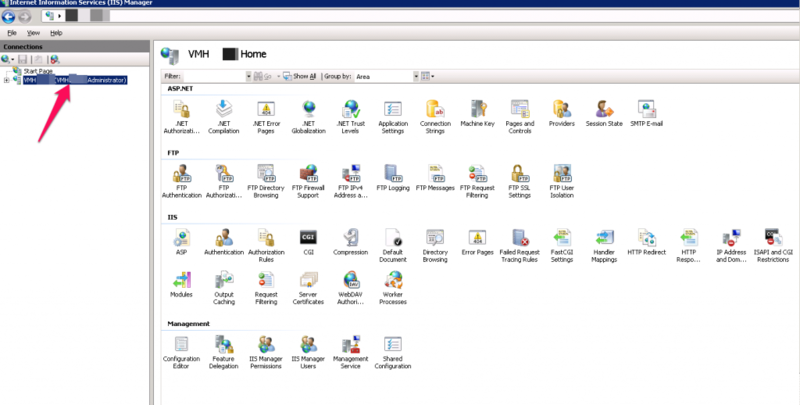 Log in to your server using Remote Desktop. 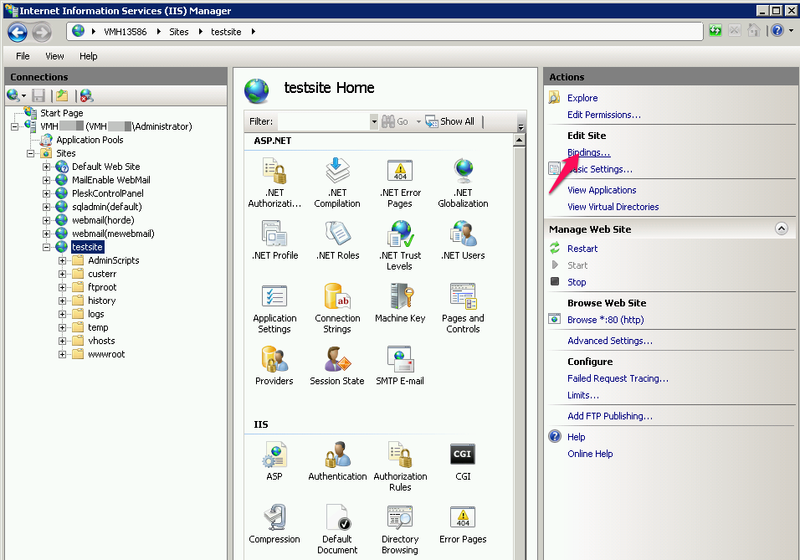 Open IIS Manager by clicking Start > Administrative Tools > Internet Information Services (IIS) Manager. Double-click the computer name at the top-left of the window. On the right-hand side, scroll down and double-click the Server Certificates icon. 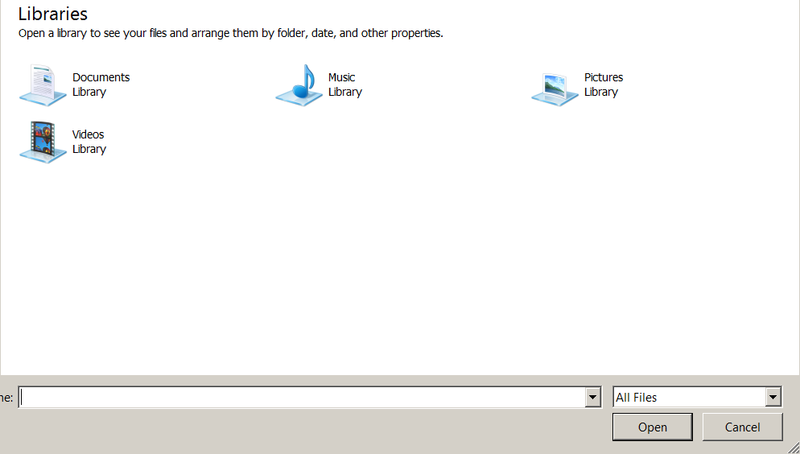 On the top-right of the window, click the Import link. 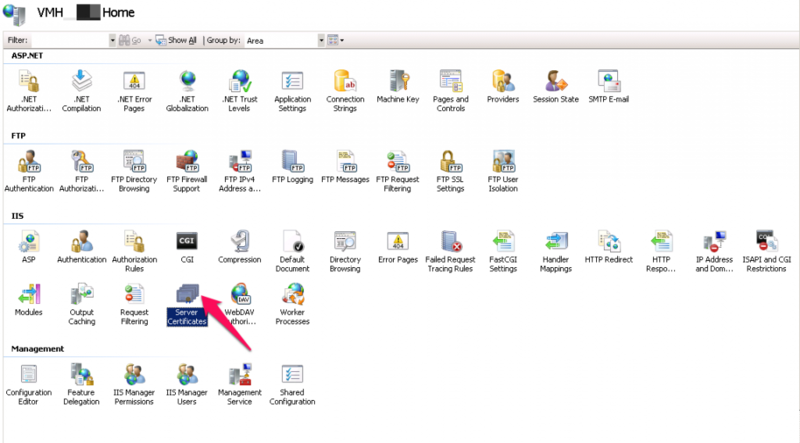 In the new window, click the ellipsis (…) button to locate the .pfx file on the server. 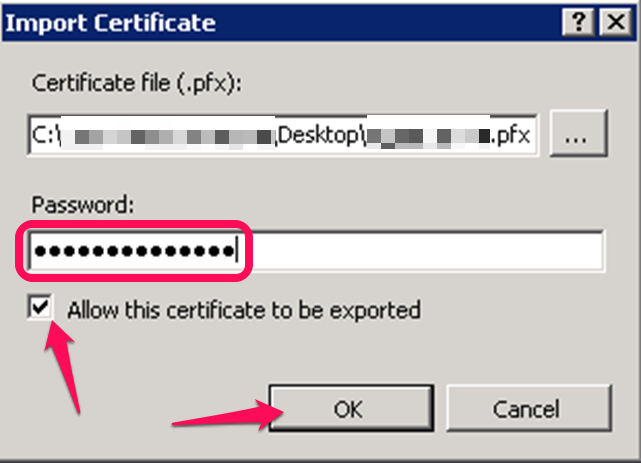 Enter the password you chose when generating the PFX file into the text box. Also, check the box for Allow this certificate to be exported. When finished, click the OK button. On the right-hand side, click the Bindings link. Select https from the Type drop-down box. 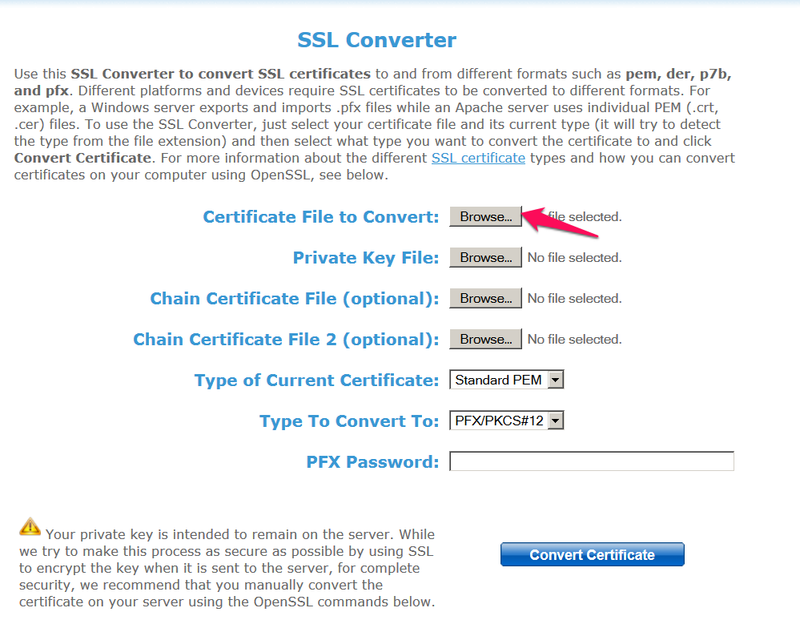 From the SSL certificate drop-down box, select the certificate you just added.